Our Vision is to continue our tradition as an independent law firm committed to excellent service and the protection of our client’s interests, while upholding the standards of our profession. Fair and competitive fee charges. Lambert Attorneys offers a comprehensive range of professional services. Lambert & Associates, Attorneys-Richards Bay was founded and is run by Ashnee Lambert, who is a graduate of the University of Durban Westville, and holds a B Proc (Law) degree. Ashnee was admitted as an attorney in 1996, and thereafter joined an Employer’s Organisation as a Legal Advisor, specialising in employment law. Ashnee has extensive experience in the area of litigation and training. 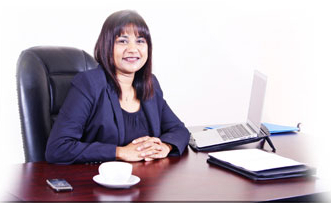 Ashnee founded Lambert Attorneys in 2003, where she began practice as an independent law firm in Durban. The practice was relocated to Richards Bay in 2008. LAMBERT ATTORNEYS has a broad spectrum of clients in Richards Bay, Empangeni, Durban, and Pietermaritzburg. The firm utilises a vast network of correspondent firms to ensure efficient service delivery to its clients.